Editorial: What are the issues? One of the most important issues to the country — and to the government information technology community — is innovation. It should be a central part of any presidential campaign platform. As a political issue, innovation would seem to be something akin to apple pie: Everyone is in favor of it. A more thorny question concerns the government’s role in promoting high-technology innovation. We continue to believe that the government should play a significant role. The government is often chided for its lack of innovation. That belies the fact that the Internet, which has transformed the world, was largely a government-funded innovation. 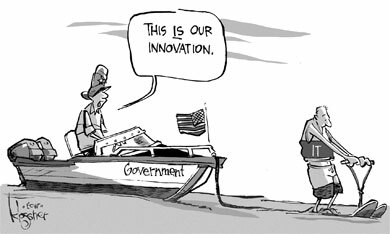 Today, the federal government has largely outsourced innovation to the private sector. There is a valuable role for the private sector to play in innovation. However, private-sector innovation is generally focused on research and development that can produce something sooner rather than later. The government can have the luxury of time to let researchers explore the realm of the possible — or even the impossible. The Bush administration has been touting its American Competitiveness Initiative for more than two years. Meanwhile, the Democratic House leadership proposed its Innovation Agenda. Both have mostly gone nowhere. Sen. Hillary Clinton of New York, a Democratic presidential candidate, recently laid out her innovation agenda at a speech in the Silicon Valley. Former Massachusetts Gov. Mitt Romney and Sen. John McCain of Arizona, both Republican candidates for president, have also made investing in technology a major portion of their agendas. The government can play a vital role in helping spur innovation. Technology and innovation continue to be powerful forces for making the world a better place. On May 25, 1961, President John F. Kennedy set the goal of putting a man on the moon within a decade. Today, the next great frontier involves information technology. This is a critical issue not only for the government IT community, but also for the country.